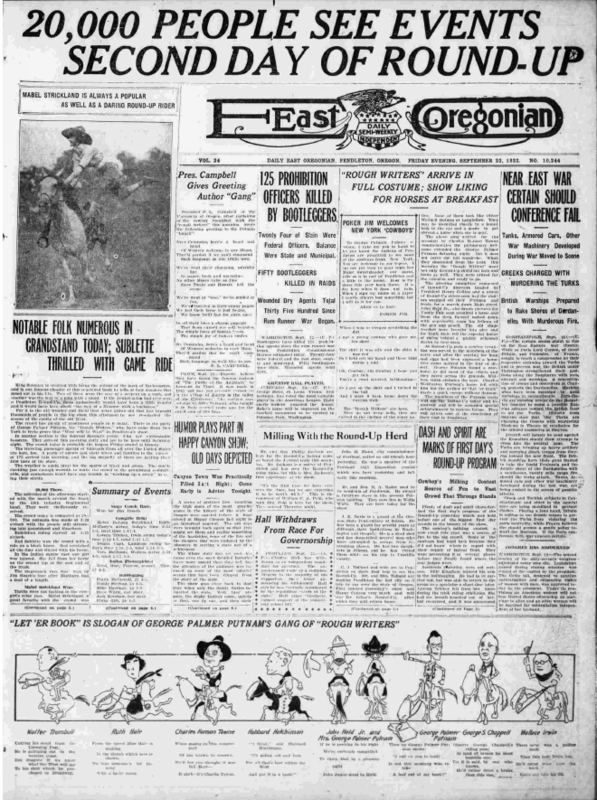 Home › Announcements › Chronicling America, Historic Oregon Newspapers Now with New Content! Calling all aficionados of historic Oregon newspapers! The Chronicling America and Historic Oregon Newspaper websites have been updated with lots of great new content. All issues of historic Oregon newspapers that have been added to these sites are completely free to search and are easily keyword searchable. Chronicling America is a website that provides “access to information about historic newspapers and select digitized newspaper pages, and is produced by the National Digital Newspaper Program (NDNP).” Historic Oregon Newspapers is a website that lets you “search and access complete content for historic Oregon newspapers that have been digitized as part of the Oregon Digital Newspaper Program (ODNP).” ODNP is a program of the University of Oregon Libraries with the help of major grants and external funding. Special thanks to the Oregon Heritage Commission for providing matching funds to support digitization of these titles.